In 12-inch nonstick skillet, heat 2 tablespoons of the oil over medium-high heat. 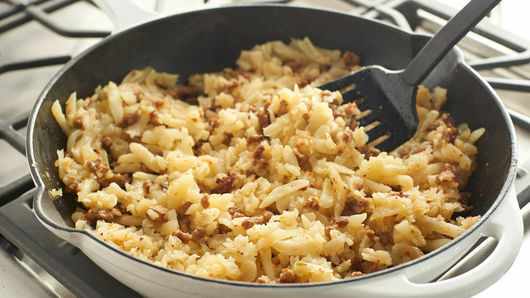 Add hash browns and frozen sausage; cook 6 to 7 minutes or until hash browns are golden brown and crispy. Reduce heat to medium. Turn potato mixture with spatula; drizzle with remaining 1 tablespoon oil. Sprinkle with cheese. 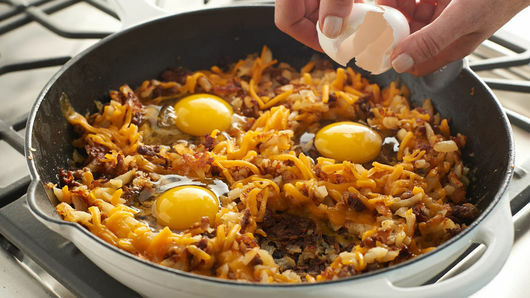 Use spatula to make 4 (3-inch) holes in hash brown mixture. Carefully break 1 egg into each hole. Sprinkle eggs with salt and pepper. Cover and cook 5 to 10 minutes or until whites and yolks are firm (not runny). 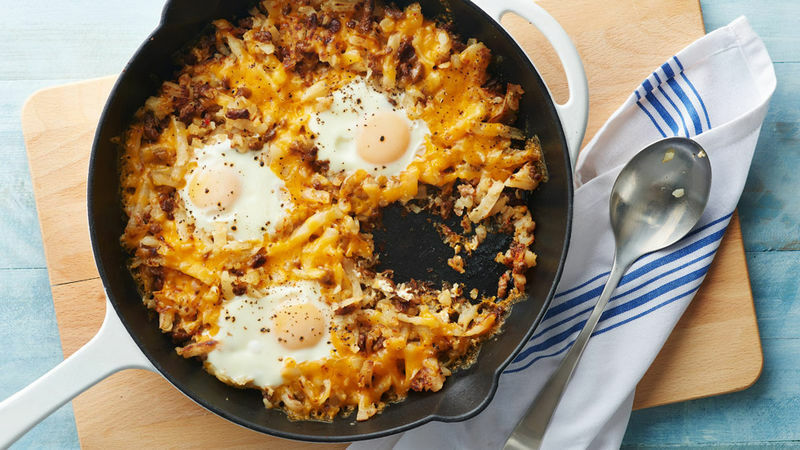 For a flavor twist, substitute refrigerated southwest hash browns for the O’Brien hash browns in this recipe. Substitute chopped fully cooked breakfast sausage for the sausage crumbles.